K L Rahul is one of the most highly rated Indian cricketers. KL Rahul’s full name is Kannaur Lokesh Rahul who an Indian cricketer, who was born on 18 April 1992 to K. N. Lokesh and Rajeshwari in Mangalore. His father is a professor and former director at the National Institute of Technology Karnataka in Mangalore and his mother is a professor at Mangalore University. KL Rahul made his debut by playing first-class cricket for Karnataka in 2010–11. He represented the country at 2010 ICC Under-19 Cricket World Cup. In 2013, he made his debut in IPL for Royal Challengers Bangalore. He was out of Karnataka Team for a few seasons but returned for the 2012-13 season. During 2013-14 season, he scored 1033 runs and became 2nd highest scorer of the tournament. He was bought by Sunrisers Hyderabad for ₹1crore at the auction for IPL 2014 season. Rahul made his international Test debut on 26 December 2014 at Melbourne Cricket Ground. He was at number 6 and made only 3 runs in the first innings. In the second inning he played at number 3 and scored only 1 run. Then he played in the fourth Test which was played at Sydney Cricket Ground where he scored 110 runs. In June 2015, he became part of the 15-man squad for the tour of Bangladesh but later withdrew because of dengue. During IPL 2016, Rahul was again bought by the Royal Challengers Bangalore. He became 11th highest run-scorer, and RCB’s third, with 397 runs from 14 matches during this season. Rahul then made a comeback for the first Test of the Sri Lankan tour but did not show any progress as he got out early in both the innings where he scored less than 10 runs. In the second match of the series, Rahul scored 108 runs from 190 balls, which included 14 fours and 1 six. Rahul became man of the match. He was selected in the Indian team for the four-test tour against West Indies in 2016. Rahul played in the second Test at Jamaica and scored 158. In the first match of the T20I series in the United States, he scored a century off 46 balls, the second-fastest ever and fastest by an Indian. He also set the world record for being the only player to score hundred in first innings as opener in both Tests and ODIs. Hardik Pandya and K. L. Rahul got suspended on 11 January 2019 by Board of Control for Cricket in India (BCCI) for the controversial comments they made on the Indian talk show Koffee with Karan. After lifting the suspension, BCCI announced that Rahul can re-join the team for matches. In the IPL 2018, he was bought by Kings XI Punjab for ₹11crore, third highest price for that year. In the first match with Kings XI Punjab in 2018 IPL, Rahul registered the fastest 50 (off 14 balls) ever in the history of IPL breaking the record which was previously held by Sunil Narine, who completed his half century in just 15 balls. In IPL season 11, he scored three 90+ scores. He scored 100 runs in 64 balls in IPL season 12 against Mumbai Indians in Wankhede stadium, Mumbai. 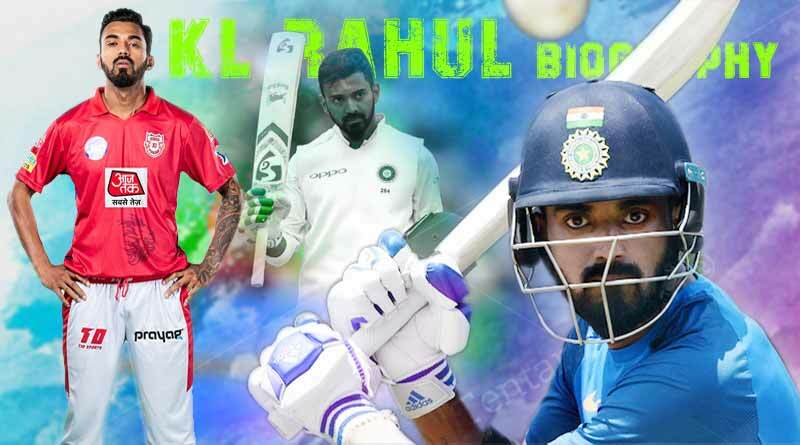 For more articles like ‘KL Rahul Biography, facts and achievements’, do follow us on Facebook, Twitter, and Instagram.